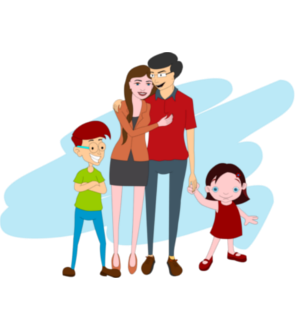 In Canada, family unification is extremely important and is a fundamental aspect of life, as well as the Canadian Immigration System. Canadian citizens and permanent residents of Canada have the opportunity to sponsor members of the Family Class, in this case their common-law partner, for permanent residence in Canada. In order to sponsor your common-law partner, you must qualify as a common-law union. In order to begin the process of sponsoring your common-law partner, you must first determine whether you are eligible to sponsor. There are simple eligibility requirements you must abide by in order to do so, which include things such as, being a Canadian citizen or permanent resident of Canada, being at least 18 years old, living in Canada or showing an intent to live in Canada once the application is approved, and providing evidence that you have sufficient income to support your common-law partner once they arrive in Canada. Additionally, in common-law relationships, you must prove that you have been cohabitating for at least one year, continuously. You must show that you have combined affairs and that you share a household together. This is an extremely important aspect of the common-law partner sponsorship, as if you cannot prove this, they may refuse your application. It is also extremely essential to provide proof of the genuineness of your relationship. The Immigration officer must obverse and recognize sufficient evidence proving that the two partners indeed are in a "marriage-like" commitment. If like to sponsor your common-law partner to Canada but are unsure what documents to include with your application or how to get started then please don’t hesitate to contact us at 416-477-2545. Our immigration experts will be glad to assist you with your immigration matter.